This is me before I lost some weight…Mum says I am still very cuddly. Hello my name is Lokma. Lokmat is a type of Turkish sweet, and my mum says I am very sweet. 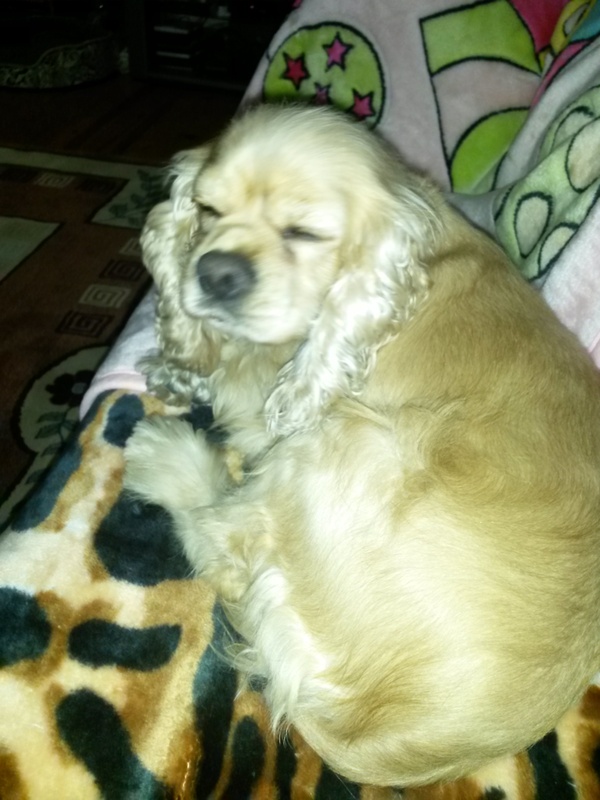 I am 4 years old and I am a small American Cocker Spaniel. My mother abandoned me when I was born and I was given to a rescue center in Turkey where a nice lady bottle fed me. I lived at the rescue centre, for nearly two years before my mum rescued me. It was a difficult time as the centre had lots of BIG dogs and I got quite bullied. The rescue centre was a private one and we all lived in the nice lady’s garden and while we all had kennels, during the day we could all roam free – big dogs can be quite scary. I now live with my mum and my brother Thomas the cat, life is good and I am happy. Mum says I am very interesting little dog and thought we could write this blog together so other dogs and their owners know what to expect when they rescue a dog. I hope it helps and pleae write to me about your rescue and you new mums or dads.